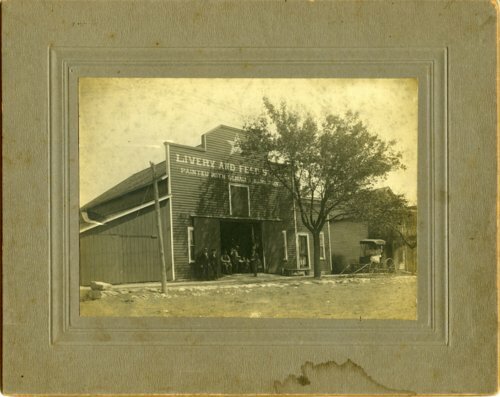 Photograph of the Star Livery Stable, located in Alta Vista, Kansas. The barn was operated by Steven Nelson and his son, Clarence Nelson. It was torn down in the early 1920s by George Edwards who built three residences belonging to Lawrence Andres, Herman Syring, and Mrs. Nixon. The photograph once belonged to Raymond "Bat" Nelson.